Derrick Ferguson: Who is Mark Bousquet? Mark Bousquet: I was raised in a small town in central Massachusetts called Winchendon (the only town so named in the entire country). Back then, the town population was 8,000 people and the entire high school was only 200-something kids. I played baseball and basketball in high school, acted in the yearly play competition, and generally had a great time. I attended Syracuse University on two separate occasionsand earned Bachelor’s degrees in Public Communications and then inLiterature, then went to the University of New Hampshire for a Mastersin Lit, and then to Purdue University where I earned a Ph.D inAmerican Studies (a dual degree in 19th century American environmental Lit and History). DF: Where do you live and what do you do to keep the bill collectors away? 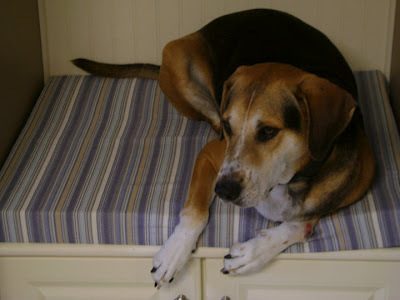 MB: I’ve been living in Reno, Nevada for almost a year now with my coonhound/beagle Darwin, where I’m the Assistant Director of Core Writing at the University of Nevada, Reno. DF: You embarked on this insane project to watch and review every single Marvel Comics movie that you knew of and was available to watch. The first question has to be: Why? MB: At some point, I started doing monthly review themes at Atomic Anxiety to supplement the massive DOCTOR WHO series and new cinematic releases. I liked the idea of watching just westerns one month and Christmas movies the next, so it was a matter of time before I hit on Superhero Month. Reviewing all Marvel movies has been in my head for a while, the same way reviewing every Hitchcock movie or Tarantino movie has been a long-term goal. The real push to actually do it as a current project, however, goes back to the release of AVENGERS this past May. Writing a 4,500 word review wasn’t enough, and so I ended up writing individual reviews for all 11 major characters in the movie. Once I had done that, I knew I wanted to collect the reviews and release it as a collection. I could have released just the reviews of the Marvel Cinematic Universe (which ends up being roughly 100 pages in MARVEL COMICS ON FILM) but I’d reviewed a bunch of other Marvel movies, too, so releasing a book of all Marvel movies made sense. Though I should point out that originally the plan was to release one book on all superhero movies, but once I got serious enough to start looking at word count, I knew that book would be way too large and so concentrated solely on the Marvel movies. DF: The Marvel Cinematic Universe has proven to be a unique and audacious idea that has paid off in quality movies that succeed as box office hits also. Where do you think it can or should go from here? MB: It’s a delicate balance between Marvel/Disney expanding on what they’ve done and risk burning out the population on superhero movies. I am not someone who thinks the superhero balloon is eventually going to go bust and no one will ever want another superhero movie, but I do think it’s important to keep the quality and variety of superhero films high. I have full faith in Kevin Feige to guide the MCU through it’s next phase. I like, too, that they refer to the post-AVENGERS MCU as “Phase 2.” Hiring Feige is the single most important thing Marvel did in building this universe because you need to have one person sitting in the big chair making the visionary decisions. I will not take DC/WB’s attempt to do a shared universe seriously until they hire one person to oversee the project. As for what I’d do … I like that Marvel and Disney are continuing to expand the idea of what a superhero movie is by going cosmic with GUARDIANS OF THE GALAXY and humorous with ANT-MAN. The next step, of course, is to expand the idea of what a superhero is by giving us a non-white male lead. I want a BLACK WIDOW movie or a MS. MARVEL movie. I want a BLACK PANTHER movie or a LUKECAGE/IRON FIST movie. Disney has made it clear that what they’re interested in is “tentpole” movies, which suggests they won’t green light a movie unless they think it can be a massive financial success. I think there’s plenty of room for smaller successes. I would highly doubt the Marvel/Disney brain trust thinks a PANTHER or WIDOW movie can’t be successful, but I’m guessing some bean counter is telling them it can’t be super successful. My hope is that GUARDIANS and ANT-MAN pave the way for other, “lesser” heroes to get the big screen treatment. 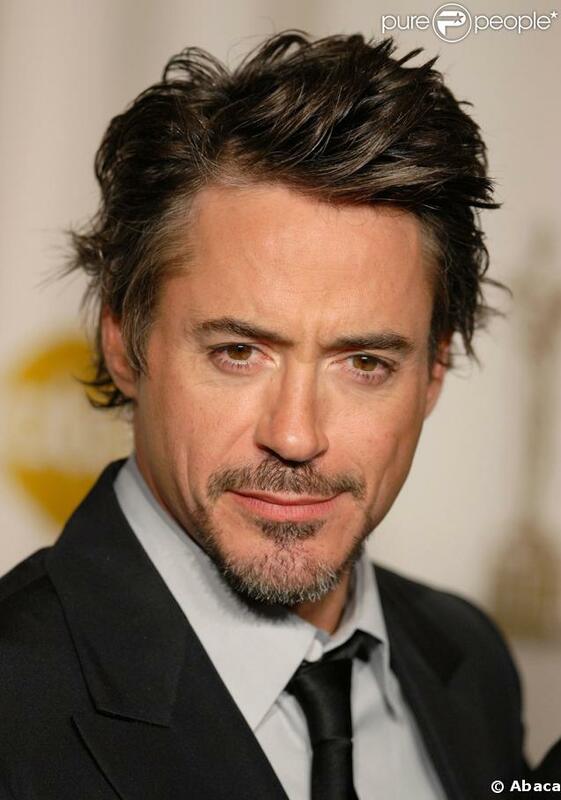 DF: Far as I’m concerned, Robert Downey, Jr. is to The Marvel Cinematic Universe what Stan Lee is to the Comic Book Marvel Universe. Agree or disagree? MB: Totally agree in the sense that he’s the charismatic face of the company that sets the tone for fans and leads the way for other actors. Every single time I see Downey talking about Iron Man and the Avengers it warms my heart. Here’s a guy who’s loving the fact that he’s in the middle of this massive, ridiculous franchise. As great as it is that Sam Jackson and Clark Gregg appear in multiple films, Downey is the guy that revs the engines of the populace because he’s the guy playing the guy whose name is on the poster. DF: Your favorite Marvel Cinematic Universe movie? Your least favorite? 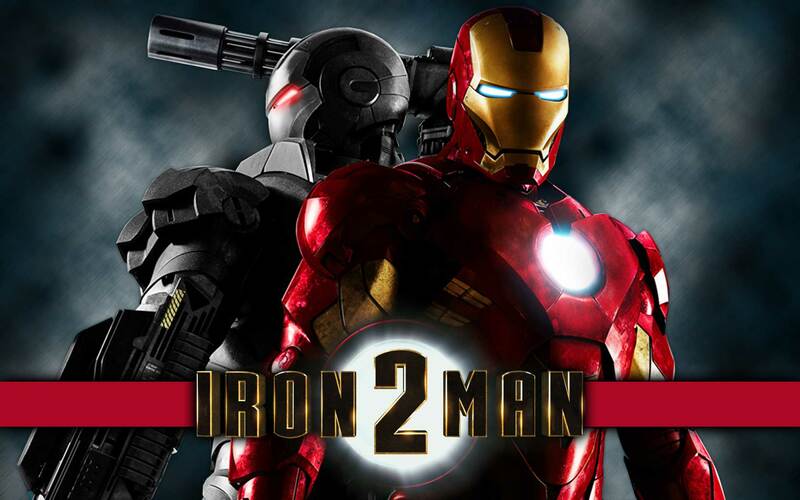 MB: Favorite is AVENGERS and least favorite is IRON MAN 2, but I still enjoy IM2. It’s not a bad movie, it’s just not as good a movie as the other MCU productions. The most confounding MCU movie to me, though, is CAPTAIN AMERICA, which I really enjoy but stop just short of loving. It’s a movie where the opening half (the origin) is really well told, but it’s also the half of the movie I’m less interested in. I’m more interested in WWII Cap and the Howling Commandos, but that half of the film feels rushed and forced. 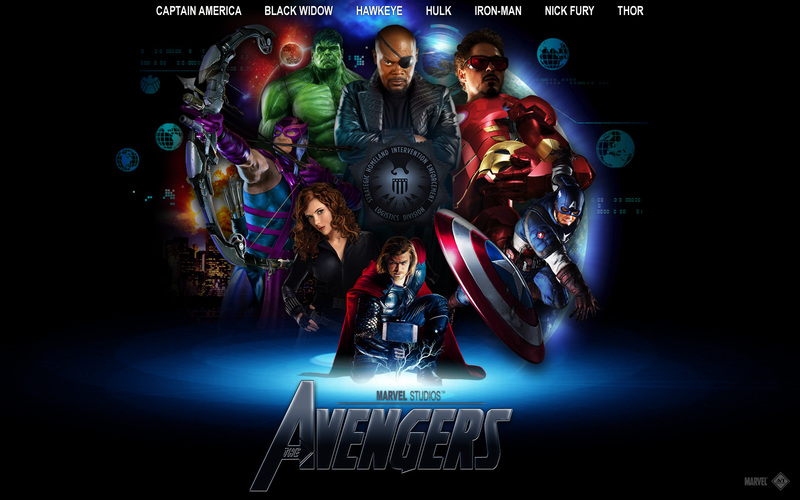 DF: Is THE AVENGERS The Greatest Superhero Movie Ever Made? MB: Yes. There are a handful of genuinely great superhero movies – THE DARK KNIGHT, SPIDER-MAN 2 – but THE AVENGERS is Zeus and everything else lives in its shadow. If nothing else, what sets THE AVENGERS apart is that it’s FUN. I’m all for some serious drama, but I like some genuine thrills and laughs in my superhero movies, too, and AVENGERS provides the perfect mix of action, drama, and humor. I hate stories about superheroes that don’t want to be superheroes (especially since DARK KNIGHT and SPIDEY 2 have done that story so well), and at no point in AVENGERS do I feel like these people hate their lives or who they are or want to go back to being a guy who works a regular job. The switch in the character of Bruce Banner in AVENGERS is the key to Whedon’s entire approach, I think. The line where Banner says, “I got low. I put a bullet in my mouth and the other guy spit it out,” is both the single heaviest line ever delivered in a superhero movie and a symbol of a hero getting over the negative and embracing who he is and what that allows his life to be. DF: Please explain The Avengers Reactions and why you decided to do them. MB: The Avengers Reactions are individual reviews of the 11 main characters in the movie (the Avengers, Fury, Hill, Loki, and Thanos/Chitauri). At the simplest level, they exist because I wrote a 4,500 word review of the movie and had barely scratched the surface of what I wanted to say. In a larger sense, though, I suppose it evolved into a reaction to people who tried to claim that this was just a dumb, loud action movie. That’s preposterous. There will not be a single script this year that’s written with more skill than Joss Whedon’s re-write of Zak Penn’s script. There might be more enjoyable scripts out there, but there’s so much characterization in this film that so many people simply refused to see that it became something of a challenge to give all of that characterization its day in the sun. As long as it took to write them, it’s the single best thing I’ve done at the site. The reviews are massively popular and have generated a wide range of comments. DF: Which Avenger would you like to see in AVENGERS 2? Which Avenger should never appear in any future AVENGERS movies? MB: Should appear? Black Panther, Black Panther, Black Panther. I would make T’Challa and Wakanda a main background plot for Phase 2, and have the Panther play a big role as the outsider-who-becomes-an-insider in AVENGERS 2. Or, if Phase 2 is about building up the cosmic angle, I’d have Phase 3 build up the “Kings” angle, and start working in T’Challa and Namor. Actually, yeah. Yeah. Phase 3 = Wakanda vs. Atlantis vs. Attilan with the Avengers caught in the middle. As for characters who should never appear? There’s really no single Avenger that I think couldn’t add something to the franchise. Even poorly regarded Avengers like Starfox, Deathcry, and Rage could work in a re-tooled sense in the movies. In a strictly Avengers context, however, I really have little desire to see traditional non-Avengers join the team. Does that mean I don’t want to see Dr. Strange or Wolverine or Spider-Man or the Fantastic Four walk into an Avengers movie? No. But I’d like to see the movies work through all of the traditional Avengers they haven’t included, yet. Look, I want a WEST COAST AVENGERS movie. There’s nothing wrong with that. DF: Do you think we’ve had enough SPIDER-MAN movies? MB: Have we had enough Spider-Man movies? No. Have we had enough origin movies? Yes. I love AMAZING SPIDER-MAN. I think it’s superior to the first and third Raimi movies and almost equal to the second, which I consider one of the greatest superhero movies ever made. 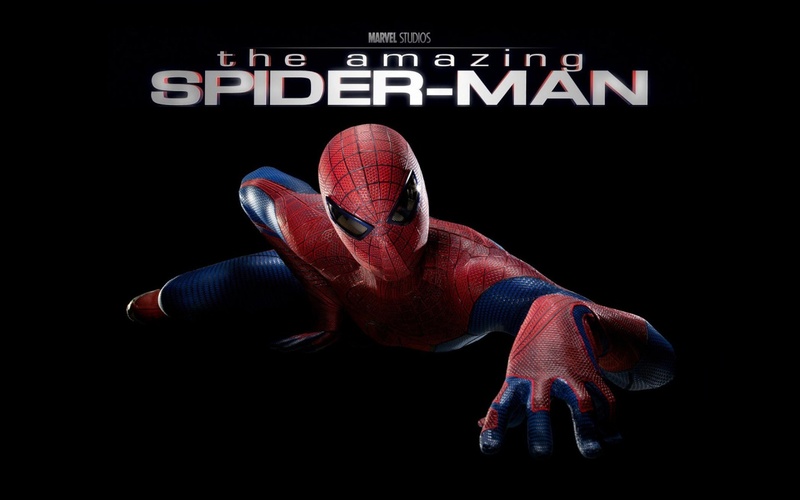 In my review of AMAZING, I talk about how the film is hurt by the Raimi movies so recently having told the origin and so I didn’t see the need for the origin, but I also talked about how I liked this origin quite a bit. Peter is a much more realistic character this time around, and the acting and directing is, across the board, better. I’m just not sure if we needed to see it, and the film does drop the narrative ball a bit in the second half of the film, but on the whole, if I’m watching only one Spider-Man movie again, it’s SPIDER-MAN 2. But after that, it’s AMAZING. I mean, Kraven the Hunter should have his own darn movie at this point. Film #1: Mysterio, which leads to Ned Leeds and Eddie Brock screwing up a story that Peter and Ben Urich get right. I’d make the Bugle crew the main supporting cast in the film, and I’d have Peter caught in a romantic triangle with Betty Brant at the Bugle and Felicia Hardy at college and totally play up the good girl/bad girl dynamic. Film #2: Hobgoblin, with Leeds enacting his revenge on two fronts: as Leeds working for a rival paper and, which leads to Venom getting out (but no rerun of the Petey/symbiote angle), which leads to an ending that has Venom beating the puss out of Spidey and standing there triumphant, like the T-Rex at the end of Jurassic Park 2. If we’re going to use Venom, I think we need to see the pure, raw power of the symbiote. No Emo Pete, no Topher Grace, just a menacing evil using Eddie Brock. Heck, I might not even want Eddie Brock. I might just have the symbiote unleashed as this unstoppable alien entity who can glom onto humans when it wants information. Film #3: Kraven, who’s been the background character in the previous two movies, just watching and accumulating information through his half-brother the Chameleon, coming to NYC to capture all of them: Mysterio, Spidey, Venom, Hobgoblin, Rhino, Vulture … and the villains would be running scared out of their mind at this seemingly regular human in a lion vest taking them out one by one, and while this is happening, Pete’s in the hospital, recovering from his thrashing at Venom’s hand. Maybe Kraven is even making a big spectacle out of this – he’s the latest superstar hero – and one of the villains (maybe even Chameleon in disguise) comes to Pete in the hospital and says, “This dude is bad news. He’s hooked up with some nutjob scientist who’s torturing these villains,” which appeals to Pete’s moral decency, so Pete pulls himself out of that bed to throw down with Kraven. I might even adapt “Kraven’s Last Hunt” for this film’s second half. DF: I myself prefer the movie incarnation of X-MEN to the Marvel Comics version. Agree or disagree? 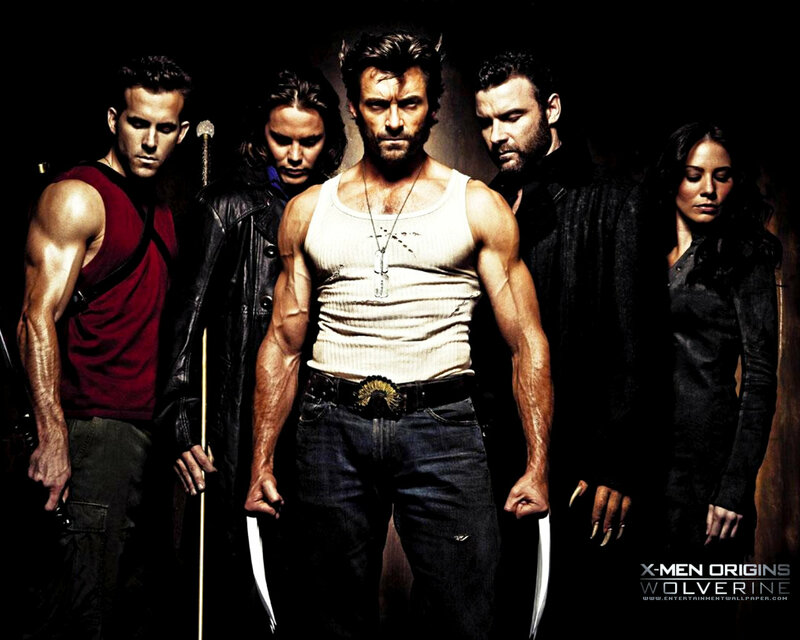 MB: I think the movie version is superior to lots of different versions of the X-Men over the years (especially over the last 25 years), but it’s not my favorite version of the X-Men. I’m all in for the Wein/Claremont/Cockrum/Byrne/Smith/JRJR X-Men of the ’70s and early ’80s, but cinematically, I think Singer was smart to pare the story down to the essentials of Magneto vs. Xavier, with Wolverine caught in the middle. I really love X2, and the moments between Logan, Bobby, Rogue, and Pyro leading to the incident at Bobby’s parent’s house is the highlight of the franchise. Wolverine’s ascension to team leader when the mansion is being attacked by Stryker is phenomenal to watch, and Brian Cox is amazing. I love FIRST CLASS, too, and that movie probably comes closest to the vibe that I really want to see in X-Men movies, and I think X-MEN ORIGINS: WOLVERINE is woefully under-appreciated. All of that being said, there’s a lot in those movies that I don’t like. The films feel a bit too random in how they’ve been assembled and I feel like the casting is driving the movies in spots, instead of the characters driving the casting. And I really, really cannot stand Famke Janssen’s Jean Grey or fathom why James Marsden is used so little, when he’s delivering the best performance in the franchise after Jackman. DF: In my opinion we would not have had The Marvel Cinematic Universe without the success of the BLADE movies. Agree or disagree? 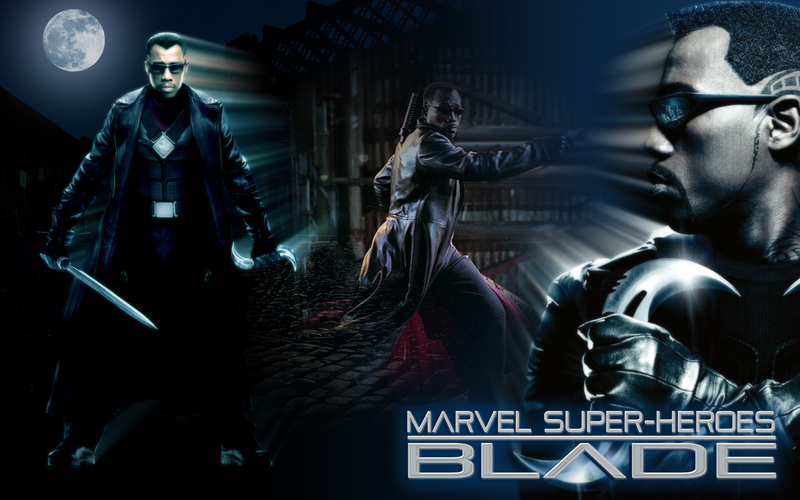 MB: BLADE is not given nearly enough credit for its role in the evolution of superhero movies. But … I think BLADE’s influence is felt much more in the DARK KNIGHT trilogy than in the MCU. Certainly, BLADE is the fulcrum movie that got us from the Burton/Schumacher Batman films to the Spider-Man, X-Men, and eventually MCU movies. In a very real sense, BLADE showed that superhero movies didn’t need superheroes and they didn’t need to be bright and positive. They could be dark, they could be bloody, they could be R-rated, they could have a dry humor, and they could be incredibly stylish. In that sense, I think BLADE really paves the way for the Nolan DARK KNIGHT films (and not just because the BLADE movies helped David Goyer cut his teeth and develop his style), which are much more Bruce Wayne movies than Batman movies. What the MCU really owes BLADE is that sense of personal style. THOR, CAPTAIN AMERICA, IRON MAN, INCREDIBLE HULK … all of them feel like superhero movies yet all of them feel like individual worlds, too. That variety is incredibly important, and we owe a lot of that to BLADE and BLADE 2. Ironically, BLADE: TRINITY is the most superhero of all the films yet it’s also clearly the worst. DF: Why is it so hard to do a truly great FANTASTIC FOUR movie? MB: Wrong director, wrong actors, wrong stories. The Corman FF movie is the best out of the lot and it really has no chance with audiences because the production value is so relatively weak compared to the big budget Tim Story movies. The Story movies, though … look, I love what Michael Chiklis and Chris Evans bring to Ben and Johnny, but the stories are absolute disasters and Ioan Gruffudd, Jessica Alba, and Julian McMahon are playing awful characters in awful ways. A FF movie should be about family, fun, and adventure, but these characters spend the bulk of both movies not wanting to be superheroes. I think RISE OF THE SILVER SURFER is the single dumbest superhero movie made; there’s a scene in which the fate of the world is at stake and the FF are stopped in their tracks by a soldier with a handgun. DF: You and I seem to be in the minority in our shared opinions that the TV Movie versions of DOCTOR STRANGE and NICK FURY, AGENT OF S.H.I.E.L.D. are really good and should be appreciated for what they are. Why is that you think? MB: The DOCTOR STRANGE movie was a total revelation. I’d never heard anything about it, but it’s darn good and a really good example of how to do smart horror in a weekly format. Of all the 1970s Marvel TV movies (discounting the INCREDIBLE HULK, which was turned into an excellent series), I’m most disappointed we didn’t get more DOCTOR STRANGE. 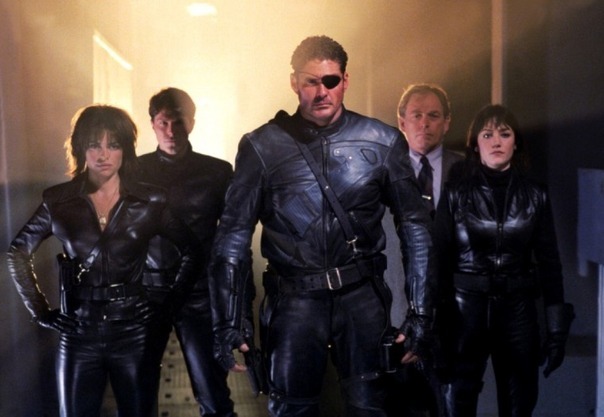 As for the Hoff’s Nick Fury movie, I mean, I don’t know how you can’t love it unless you take life way more seriously than I’m comfortable taking it. The movie is so much fun and Hoff so totally throws himself into the role that it totally wins me over. It’s like watching a dime novel version of a spy story come to life. These are hard movies to find, but if you can track them down they are well worth your time. DF: Where can we get a copy of your fine book and read the rest of your wonderful reviews? Derrick Ferguson: Time for us to go back into The Ferguson Theater but before we do is there anything else we need to know? 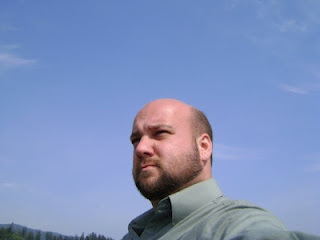 Mark Bousquet: I’m hard at work on the next installment of GUNFIGHTER GOTHIC, my weird western, which I’m hoping will see publication in January 2013. My next published project, though, will be STUFFED ANIMALS FOR HIRE: THE DECEMBER OPERATION, a kid’s novella which answers the question that no one was asking: What would the A-Team be like if Winnie the Pooh was a member? Or what would happen to the Hundred Acre Wood if Hannibal Smith was dropped down into the middle of the forest? It’s weird and wild and represents what I love about writing – the unexpected turn. I’ve written a kid’s book in the past (ADVENTURES OF THE FIVE: THE COMING OF FROST, which is still my favorite book I’ve written) and thought this would take a similar course, but in a very real way, it’s ended up being the single most pulp thing I’ve written. The action is non-stop, and somehow in my desire to write a playful ode to all of those early ’80s action shows that I love (the A-Team, Magnum, PI, Hardcastle and McCormick, the Dukes of Hazzard), it also feels totally like a Steranko Nick Fury comic. It was great to read such an informative article with MB. Although I’m not that into Marvel Comics, movies, or their actors, I enjoy reading Mark’s reviews. I would also recommend his Mark’s books as well. He’s a terrific writer with a gift for storytelling. Agreed. I’ve been a fan of Mark’s writing for years and his movie reviews are absolutely astounding. I’d love them to do a Black Widow movie in the style of the Bourne series. There is so much ‘traditional’ spy stuff in the Black Widow’s history that you wouldn’t need to touch on the Super side of the Marvel Universe.